Whole year round, summer and winter! Family with kids, pensionates, adventurers, winter sportsmen, our accomodation suits all seasons and all kinds of guests. We offer each on their own a well deserved holiday. Villapark Vlašky welcomes everyone! Families with kids ( 0-6 years) – enjoy a peaceful holiday whether you choose to take a lazy day and read a book on the lake view terrace while the kids spend their day in our new playground or you take them out to the fairytale land Habakuky, nearby swimming pool (free baby sitting and animations) or a sheep farm. And maybe even you will feel like a kid when taking the traditional steam railway up the valley. 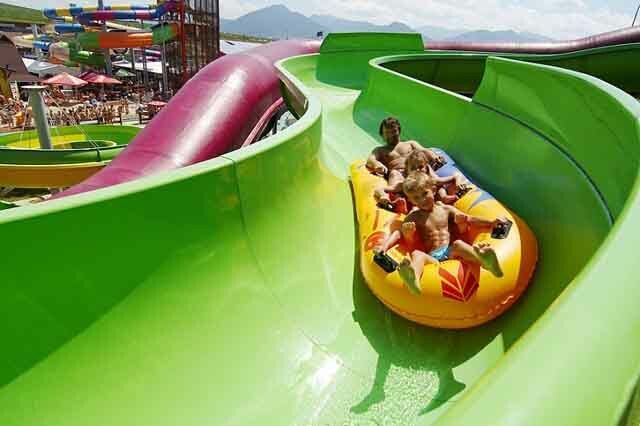 6 – 16 years – Aquapark Tatralandia is a magnet for kids of this age. Also try to show them our medieval castles, historical towns, UNESCO heritage sites, unique caves, our breathtaking mountains and valleys. Or let them experience being a Tarzan in the jungle in Tarzania. 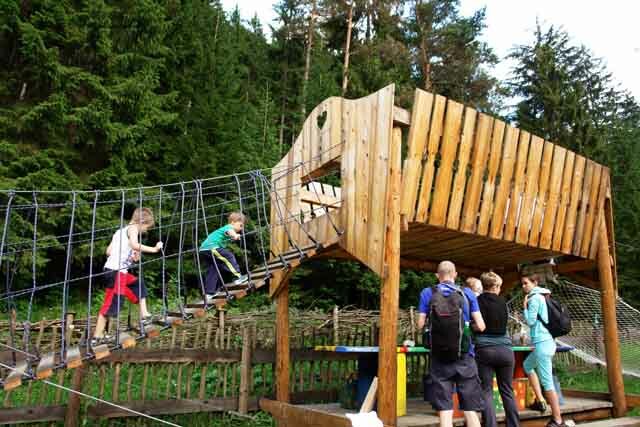 Adventurers – just to read out the list of what’s on offer for you in Liptov requires some stamina. 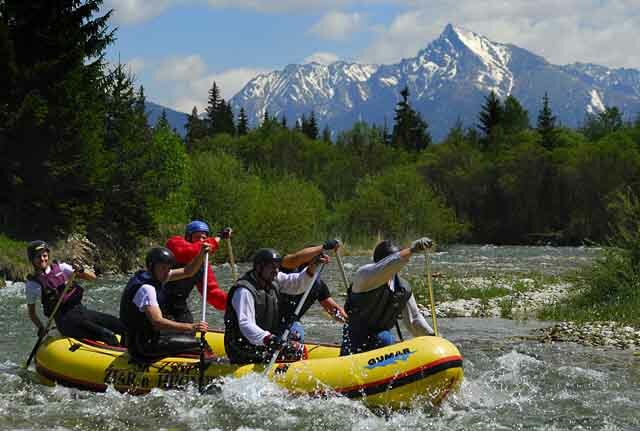 Rafting, mountain biking, climbing, hiking, fishing, swimming, quadbikes, off road tours, Hummer H2 driving, paintball, crossbow shooting, Tarzania, paragliding, horse riding, carting, zorbing, hot air balloon flights, skiing, snowboarding, cross-country skiing, snowmobiling, snowtubing, all year aquaparks…. The list goes on. 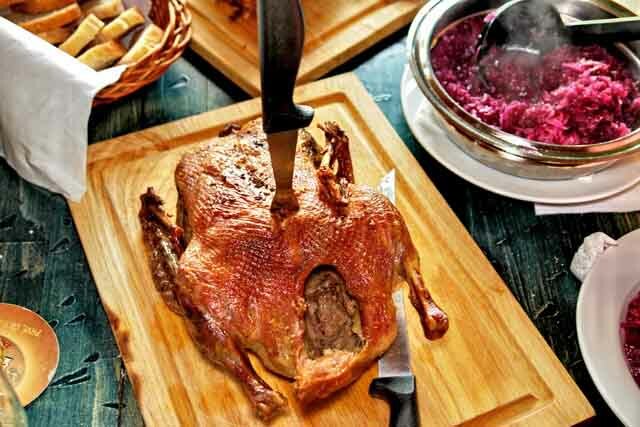 Gourmands – some of the best Slovak restaurants can be found within 30 min drive from us. Traditional Slovak specialities, modern cuisine, unique projects, Italian ristorantes… We have tested them for you and will share our reports. We selected the best ones and agreed on a special deal for our guests so you can now enjoy your dinner with a 10% discount on meals. 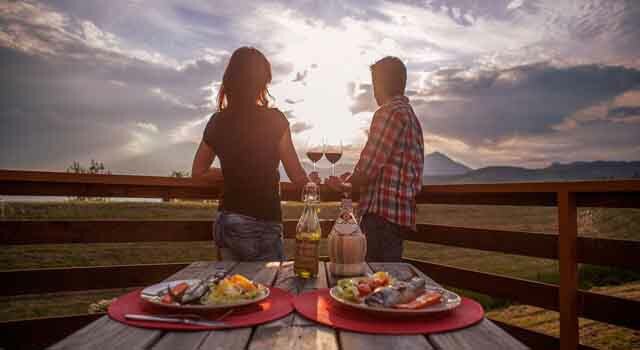 For example only 10 minutes from our villapark you’ll enjoy a variety of meals in the tranquil atmosphere of our family owned restaurant Penzion za mlynom. 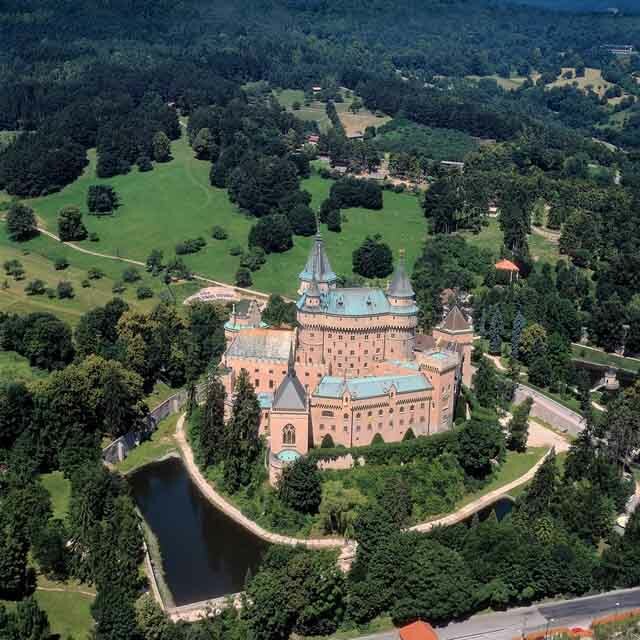 Tourists – why not make a daytrip to such places as Slovensky Raj (Slovak paradise), Spissky hrad, Bojnice castle, Pieniny, Budapest, Krakow and nearby salt cave Wieliczka or Auschwitz. If you do not feel like driving we will find a car, van, minibus or bus that will take you there. And if the summer days are just too hot for you then a visit to a nearby ice cave will cool you right down!